Laptops are expensive and after dropping thousands of dollars on one, it's important to protect them. In order to prevent your precious piece of technology from damage, laptop carriers are essential when traveling from home to the office. For the classy business executive, not any bag will do. It's important to make a good impression in the workplace. Bags are designed in many styles, why not buy one to match different outfits. There's a selection to suit different tastes, from the ultimate celebrity fashionista, the business men and woman, as well as fun playful designs. Laptops are vulnerable to damage, especially as they are carried around all day. They are vulnerable to extreme temperatures, and accidents, which let's face it do happen. Cases can prevent the risk of a computer or tablet being damaged from one tragic drop to the pavement, and being banged against a door frame. In today's modern age it's hard to live without a laptop, so why not pay the big bucks to keep it safe. Don't let your laptop go naked. It may be possible to get a great case without spending more money than the laptop itself, but these designs can be appreciated by the fashion lovers and bag collectors everywhere. Make a statement with one of these cool luxurious bags, that offer the best of both worlds; protection and style. Salvatore Ferragamo is an Italian designer known originally as a shoemaker for the stars. He launched his own fashion line for shoes and bags in 1927. The line is still located in Florence, Italy and makes beautiful handcrafted shoes, bags and fragrances. The Salvatore Ferragamo Revival bag comes in different colors of leather. The inside is lined with faille fabric and designed with four pockets, one of them zipped. This bag is perfect for the office and is lightweight and easy to carry around. It comes with a detachable shoulder strap for easier travel. This laptop bag will certainly get you noticed. Made in Paris, France from L'Eclaireur, this bag is made with real python skin and comes with a silver embossed handle and hardware. It comes with a detachable python skin handle to match. The bag has a front compartment for additional storage which also makes for easy access. It doesn't sacrifice style for practicality. This bag is popular this season, so get one before they are gone. The slightly cheaper version has already been sold out. 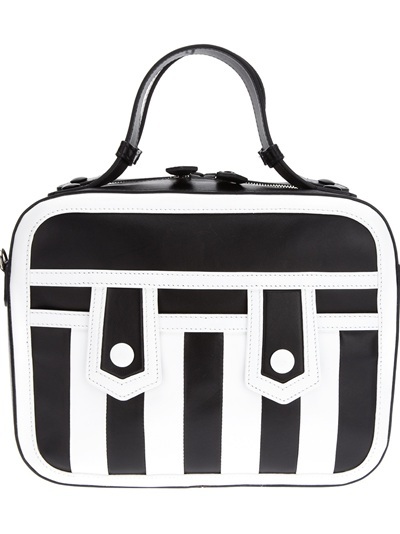 Moschino Gloria 'mini' is a catchy laptop bag with bold white and black vertical stripes. It has dual handles and a detachable shoulder strap. It's made from real leather and the Moschino Gloria 'mini' also has an interior zipped pocket for extra storage. For those who enjoy a fun sense of style this bag from a London, England designer provides just that. Go for the London look with this bold bag and never blend into the crowd again. Moschino is known for innovative, and colorful bags that sometimes border on the eccentric side of style. Gucci is known for designing beautiful high-end bags drooled over by many handbag collectors but they also have a line of laptop and even tablet and phone cases available for a price. 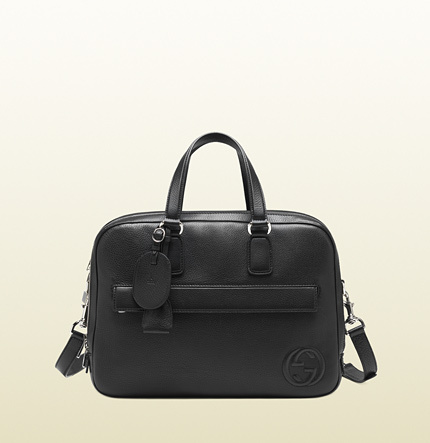 This beautiful black leather bag from Gucci includes the famous interlocking G logo. It's made in Italy and is perfect for the office. It includes a secret hidden pocket and a slot to keep a phone. This bag is classy and professional looking, with a cotton interior to keep your laptop safe. This luxurious bag will be at the top of many wishlists this season. This black woven bag features two woven handles and multiple compartments for storing documents. Perfect for the busy business executive on the go. It's designed with Bottega Veneta's signature intrecciato construction and is made in Belgium. This classy bag is lightweight and functional and will stand up to the elements, while maintaining a sense of style and luxury. Bottega Veneta is most popularly known for their leather woven bags that remain unique to the designer, with the technique called intrecciato. The designer name originated in Italy but has expanded into numerous countries all over the world. This bag from Paris, France is a simple and classy design that is easy to carry. It has a grey and black design with an embossed plaque on the front. It has silver hardware and a black handle for an elegant and stylish look. It has clasps to close it tightly for added protection. The Tumi brand is known for creating luxurious bags to make traveling easier. The bag is made for practicality as well as looking sharp. The Tumi brand began in 1975 and was named after a Peruvian god. 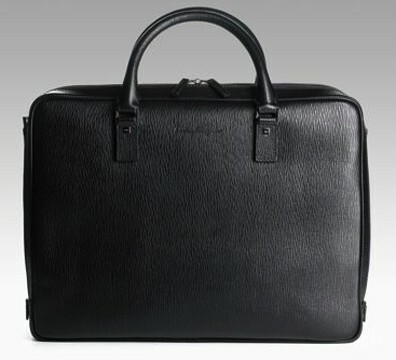 This expensive laptop/briefcase is just one of many high-end luxury designs. This Louis Vuitton laptop bag is very sophisticated with stylish glossy leather. This bag is the perfect combination between business and pleasure, with it's fun colorful design. It has three interior compartments and one is closed with a padlock for extra security of your laptop. The handles are rounded and it can be carried by hand or at the elbow. The bag is secured with a sturdy clasp. It comes in three different colors including pink, purple and blue and is sure to make an impression, and be the cause of many envious looks from women everywhere. Ostrich leather is known as being one of the most prestigious luxury items, it is extremely long lasting and soft to the touch. Ostrich skin is left with the dots made by the feathers after they are removed, which is an effect known as pearling. The leather is truly unique and comparable to other luxury leathers like snakeskin and crocodile. It's usually lighter in color and comes in different shades. The more dots in the leather the more valuable it is. 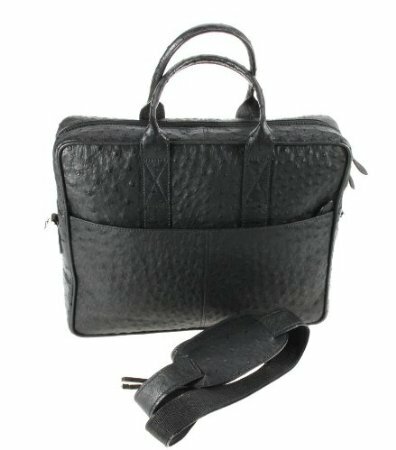 This laptop bag is made of Ostrich leather on the inside and outside. It comes with pen slots, a detachable shoulder strap and two pockets for mobile phones. This bag is large with lots of extra storage space in the exterior pocket. This classy Louis Vuitton case is customizable with a selection of different material and color options to choose from. It has reinforced metallic corners and closes with a secure lock. The inside has two compartments, one for a laptop and the other to fit documents. It's perfect for the professional business executive wanting to make an impression. This luxurious bag will cost double more than any laptop but is designed to last and will look good doing it. There's even a place to hold your keys. The world most expensive laptop sleeve was created by Coverbee in 2012. The sleeve was made with 8,800 round cut diamonds of the highest quality. The case is topped with saber fur from Russia, which may turn away many animal rights activists. The fur was added to avoid scrapping the laptop on the diamonds as it's being inserted. Coverbee believes the case can be seen compared to a fine piece of jewellery and will be snapped up buy a collector. It's the first of it's kind and takes extravagant laptop cases to a whole new level. The sleeve has been designed to have the strength as any other laptop sleeve, and is absolutely stunning.